SINGAPORE - Veteran opposition politician Chiam See Tong on Friday thanked everyone for their well wishes for his 80th birthday. He marked the occasion on March 12 with a family dinner. Mrs Chiam posted the thank-you note on his behalf on Friday evening. He told Chinese-language Lianhe Wanbao that he wished Mr Lee Kuan Yew a speedy recovery so that Singapore's founding prime minister can enjoy SG50 festivities along with all Singaporeans. The secretary-general of the Singapore People's Party (SPP) was the MP for Potong Pasir for 27 year. 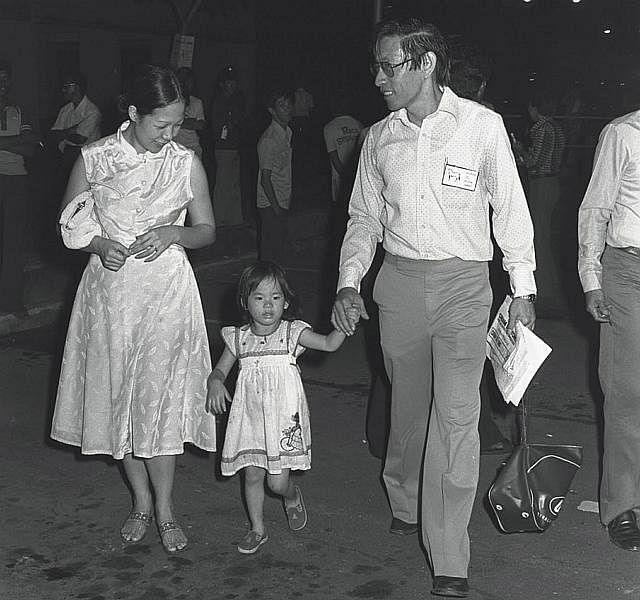 In 1976, the teacher-turned-lawyer launched what seemed a quixotic challenge to then Minister for National Development and Communications Lim Kim San in Cairnhill ward. He lost - but didn't give up his fight to enter Parliament. 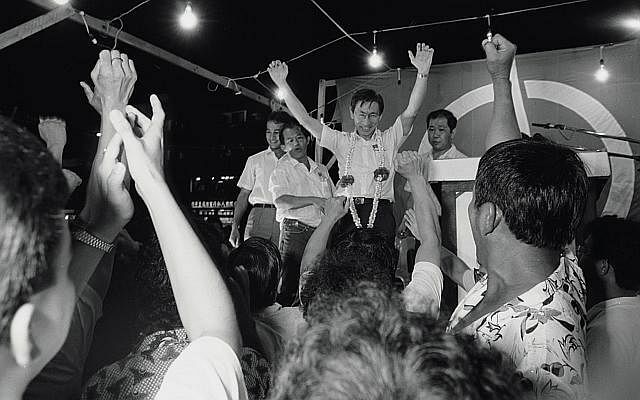 Almost a decade later in 1984, he won in Potong Pasir under the Singapore Democratic Party (SDP) flag. He had founded the SDP in 1980, but later left the party. He held the seat until 2011 when he contested in the Bishan-Toa Payoh GRC and lost to the PAP. Here are eight things to know about Singapore's longest-serving opposition politician in Parliament. Post by Singapore People's Party. Mr Chiam, the second of three children of a successful businessman, was a competitive swimmer at Anglo-Chinese School where he studied. The 200m freestyle was his pet event, and he was also part of the ACS relay team of star swimmers. His name, chosen by his paternal grandfather, means 'punctual' or 'timely'. His father, Heng Hong, dealt in commodities like rubber, pepper and sugar, and had intended for his second son to help in his business. Despite being uninterested in science, Mr Chiam enrolled in a science degree programme in New Zealand on his father's orders. It was there that he became interested in socio-political issues. When he returned from New Zealand, Mr Chiam decided to become a teacher. He wanted to teach in Malaysia because he felt that there were not enough teachers there, and taught for a year at Mahmud Secondary School in Raub, Pahang. Later, he taught at Cedar Girls' Secondary School in Singapore for nine years. Students recalled how he was patient and mild compared to the other teachers. In 1972, when he was 37, he decided to pursue a law degree.He flew to London for law studies. It was there that he met Lina Loh at a dance. The 24-year-old girl from Kuala Lumpur was a trainee nurse at a London hospital. Their first date was a visit to the graveyard of Karl Marx, the father of communism. 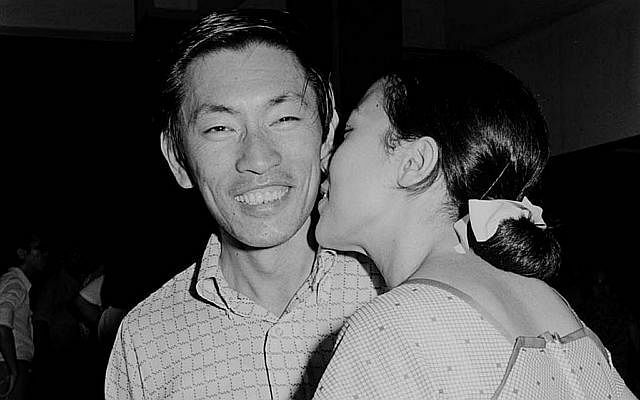 Mr Chiam was very into politics by then, and unromantic, Mrs Chiam has said. For their first Valentine's, he bought her flowers only because the proceeds would go to charity. They married in 1975 when he was 40 and she 26. He was called to the Singapore Bar that same year. A year after they got married, Mr Chiam entered politics, with her support. She was a familiar face during elections, organising rallies and getting feedback for him. They have a daughter, Camilla, who is now 39. When the Chiams left London, they did not fly but went on an overland journey from Europe to Singapore in his Beetle. They traversed Europe, Turkey, Afghanistan, India and Malaysia in the car. His Beetle, which they named Herbie, was a mascot during his campaigns. He was still driving it during the 2011 election. 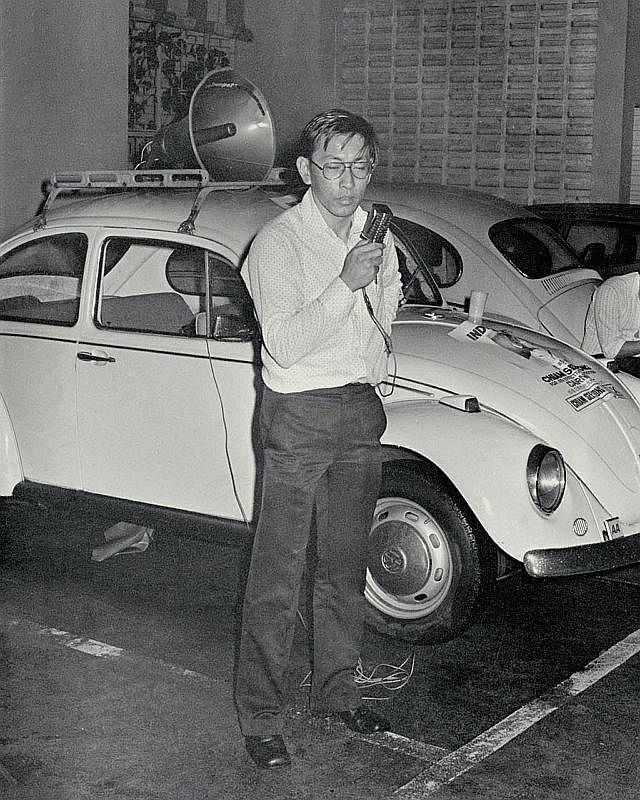 Mr Chiam entered politics in 1976 and it took him eight years to win voters over. 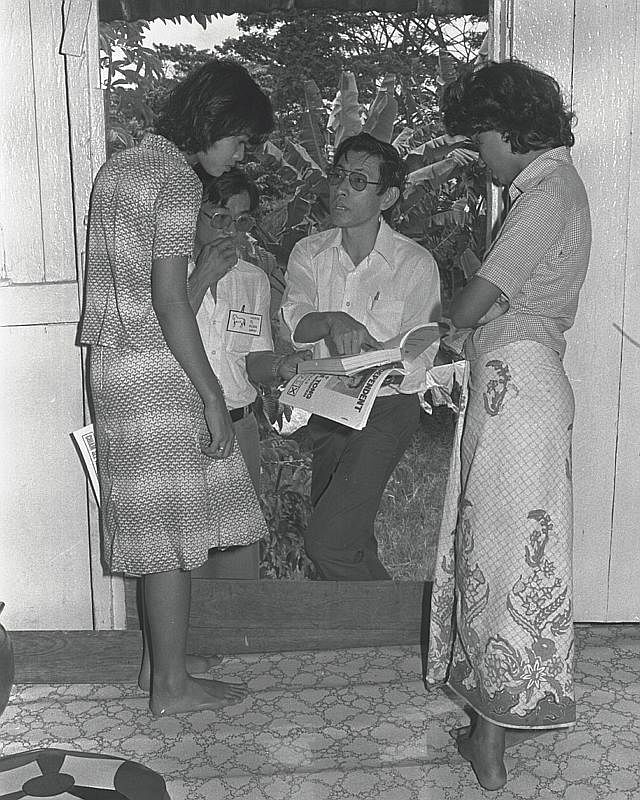 At the time, all the seats in Parliament were held by MPs from the People's Action Party (PAP), and his bid against Mr Lim in 1976 was seen as sure-to-fail. He was a lone warrior, canvassing for votes in his Beetle mounted with a loudhailer. He won 31.83 per cent of the votes in Cairnhill. In 1979, he contested in a by-election in Potong Pasir, his first in the constituency that would be intricably linked with him. He lost to the PAP's Howe Yoon Chong. He lost to Mr Howe again in the 1980 general election, but with a smaller margin. 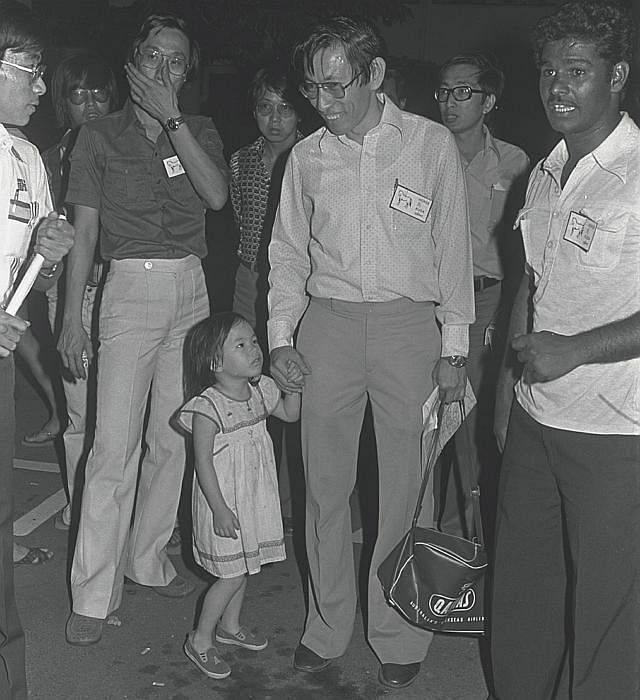 In 1984, the PAP lost two seats in Parliament - Mr Chiam defeated PAP's Mah Bow Tan in Potong Pasir, and Mr J.B. Jeyaratnam beat PAP's Ng Pock Too in Anson. A number of issues had raised the ire of voters, including the Graduate Mothers' Scheme, and a proposal to change the withdrawal age for CPF funds from 55 to 60. In an interview with The Straits Times after his election win, Mr Chiam said: "I went into politics more to end the one-party rule, which, if left unchecked, would eventually result in a totalitarian state." 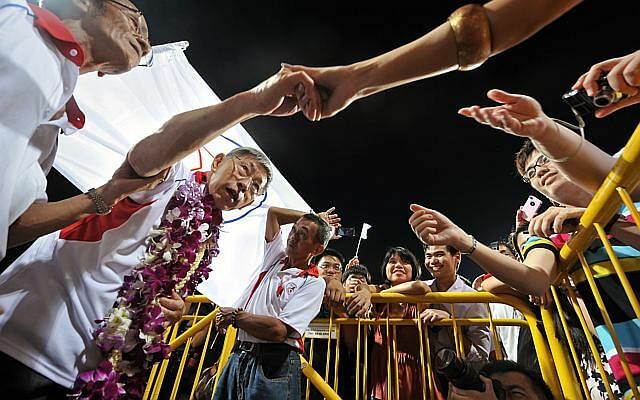 Mr Chiam had set up the Singapore Democratic Party (SDP) in 1980, and won Potong Pasir from 1984 to 1991 under its banner. 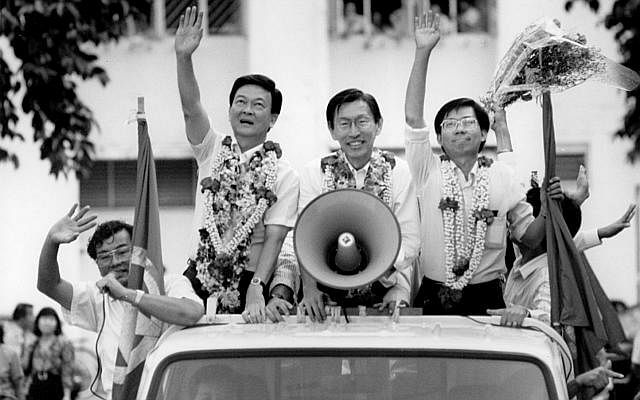 In the 1991 general election, he and SDP colleagues Ling How Doong and Cheo Chai Chen won three seats in Parliament and he was regarded as the leader of the opposition. In 1992, Mr Chiam recruited Dr Chee Soon Juan, a psychology lecturer, into the SDP. They soon fell out over Dr Chee's decision to hold a hunger strike after he was sacked by the National University of Singapore for wrongful use of research funds. Mr Chiam tried to discipline Dr Chee but could not win the backing of his party, and resigned as secretary-general in May 1993. The party's central executive committee expelled him from the party, and he sued. The court ruled that the sacking was illegal, and he was reinstated as a cadre member. Then in 1996, he sued them for defamation after they issued a press statement egging him to quit the party. He won $120,000 in damages. He left the SDP to join the Singapore People's Party (SPP) in 1996. In 2001, he set up the Singapore Democratic Alliance (SDA), an umbrella group of opposition parties. In early 2008, he suffered a mild stroke but he continued his political work. In 2011, the SPP withdrew from the SDA. Mr Chiam and a team from SPP contested the Bishan-Toa Payoh GRC in the 2011 election. They lost to a PAP team led by then Home Affairs Minister Wong Kan Seng. His wife Lina contested in Potong Pasir and lost by a razor-thin margin to Sitoh Yih Pin of the PAP. She accepted a seat in Parliament as a Non-Constituency Member of Parliament. Of his political career, Mr Chiam once modestly said that his greatest contribution was proving that "it is possible for an ordinary person like me to stand for election and get elected and re-elected". VIDEO: My Kind of Town is a multimedia feature about the people of Potong Pasir and their former Member of Parliament, Mr Chiam See Tong. It is a final-year project by students, Basil Edward Teo, Wong Kar Weng, Cara Chiang and Sulaiman Daud of the Wee Kim Wee School of Communication and Information, Nanyang Technological University, Singapore, in 2014.